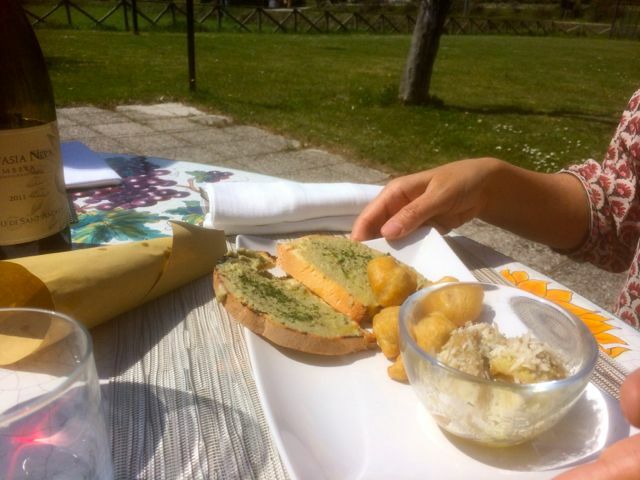 A couple of weeks ago we booked an outside table at I Girasoli di Sant’Andrea, the restaurant at the front of our local winery in the Niccone Valley. 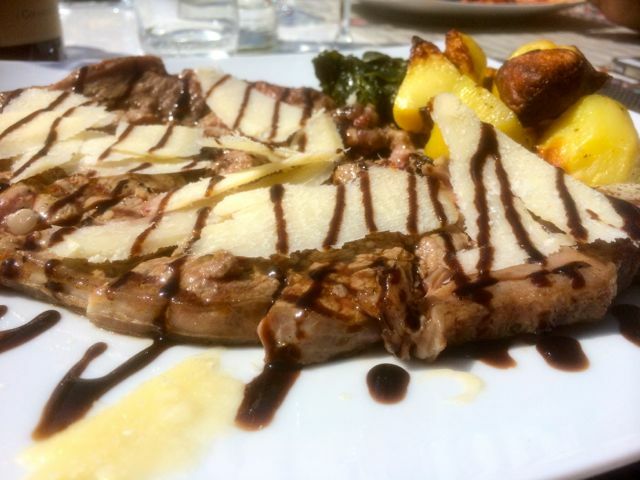 The weather was perfect and the food delicious, a starter of artichokes cooked in three different ways, delicious fresh pasta and a chiannina steak served with greens and oven roasted potatoes, all washed down with a bottle of the vineyard’s Malvasia Nera. It was so good that I’m already looking forward to eating there again. 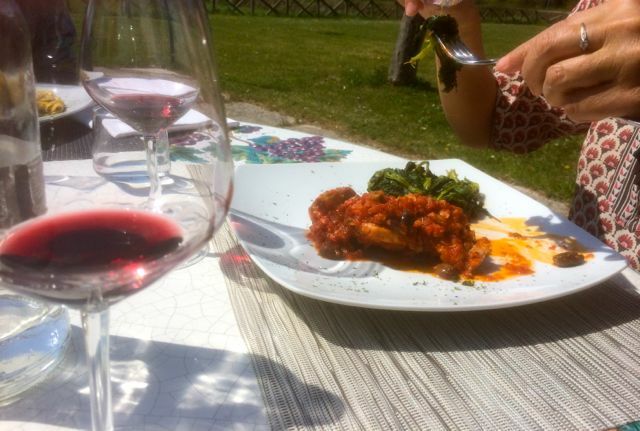 Our meal cost €105 for 4 people, we ate a starter, two pastas, two large secondi (meat dishes including vegetables), three desserts, water and a bottle of wine.